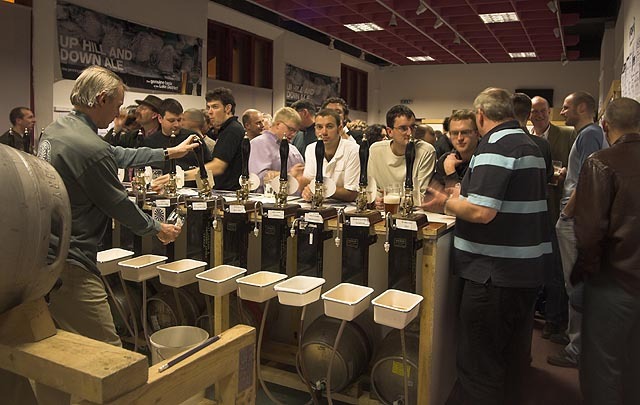 Cockermouth Beer Festival has been organised and staffed since 1998 by volunteer members from the West Cumbria branch of CAMRA - the Campaign for Real Ale. It is held in the Kirkgate Centre over a weekend in December, and features traditional cask ales from a variety of local and not so local sources. In recent years it has been staged at the Kirkgate Centre. We are fortunate that Cumbria has not only the Jennings Brewery in Cockermouth, but several microbreweries, many based in single outlet pubs. Tickets for the event may be bought in advance from Jennings shop. 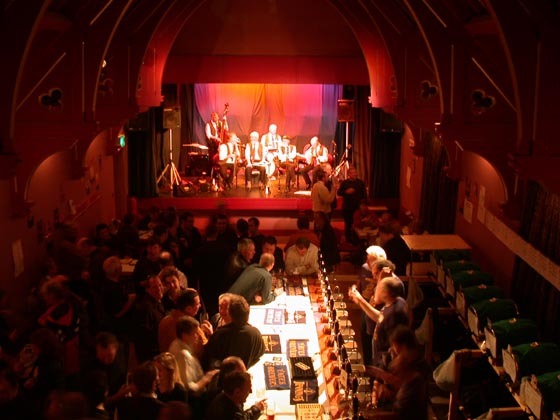 2002 Beer Festival, with jazz on stage upstairs at the Kirkgate. 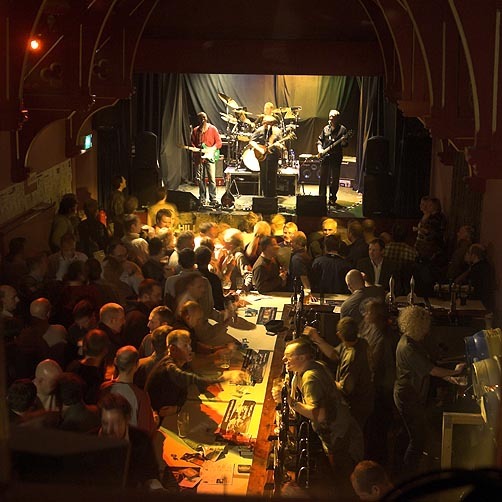 2006 Beer Festival at the Kirkgate. Photo by Jon Sharp. CAMRA - What is Real Ale ?